Since the beginning of NYU’s stewardship of the site in 1994, conservation of the collection has been a central priority. 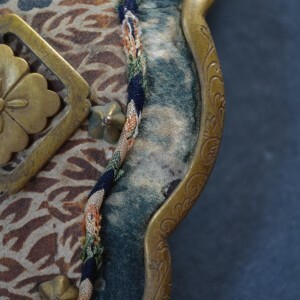 During the past twenty years, in collaboration with the Italian Ministry of Cultural Heritage and Activities and the Conservation Center of the Institute of Fine Arts at NYU, American and Italian conservators have completed a wide range of preventive and remedial conservation projects, from the conservation of paintings, frescoes and sculptures to textiles, furniture and books. An essential element of this work is education. The consulting conservators mentor graduate students from the Conservation Center of the Institute of Fine Arts, who work together on objects in the Acton Collection during short-term projects organized throughout the year. These projects provide experience with setting conservation priorities through the conducting of surveys as well as with hands-on treatment. In recent years student-conservator teams have worked on objects as diverse as a Chinese lacquer screen, prints and drawings, textiles, a Japanese suit of armour, marble sculptures, and even the eighteenth-century frescoed walls of Villa La Pietra itself. Preserving the Future’s Past surveys new art conservation strategies. From technological obsolescence to data storage, it explores the conceptual and technical challenges faced in creating and preserving time-based media art, from the perspective of both the artist and the conservator. Directed, produced and edited by Gabriela Tama, the documentary addresses the following questions: What is time-based media art? What special conservation measures do time-based media works require? Why is care of time-based media work particularly challenging? What new knowledge and skills should future media conservators possess? How will new scholarship in time-based media art conservation help the field grow and expand? An early twentieth century oil on canvas painting was conserved after many years of being off display. The dual aims of the treatment were to stabilize the work and to allow the image to be appreciated while keeping the restoration as non-invasive as possible. This artwork, like all the diverse objects in the Acton Collection, is understood within the unique context of Villa La Pietra and treated in accordance with professional conservation standards as taught at the Conservation Center of the Institute of Fine Arts, New York University. Italian and American conservators collaborated at Villa La Pietra Florence on a multi-material conservation project to display an original 17th behind the scene of the treatment and installation. NYU Students were involved in the project. The Stibbert Museum helped with the interpretation of the history, materials, construction and mounting of the armor. From the Institute of Fine Arts. This video explores the conservation work done on an 18th century sketchbook that was recently discovered at NYU's Villa La Pietra, in Florence, Italy. 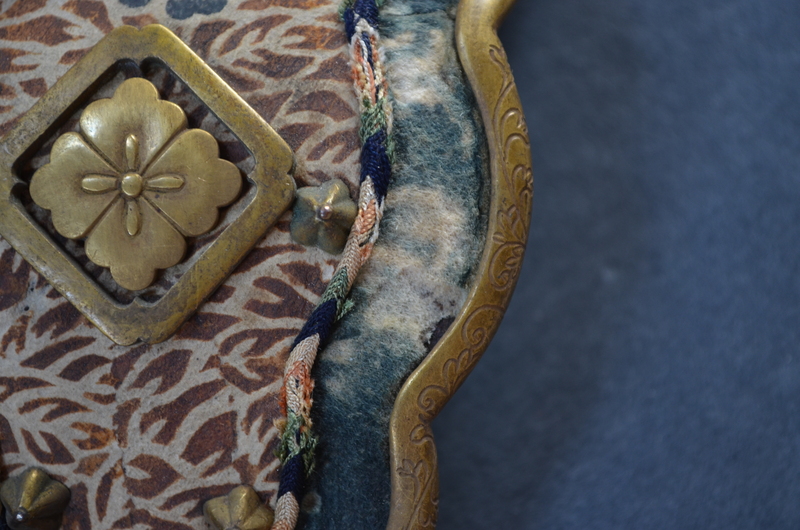 The conservation was performed by IFA alumna Morgan Adams under the supervision of Maria Fredericks, Drue Heinz Book Conservator, Thaw Conservation Center at the Morgan Library & Museum. The meeting of conservators at Villa La Pietra January 4-5, 2008 served to clarify our approach to the conservation and preservation of the Acton Collection. One goal for the conservation of the collection is to maintain it, insofar as possible, with the appearance that it had during the first decades of the twentieth century in which Arthur and Hortense Acton were collecting. This period, roughly up until the Second World War, best represents the aesthetic and taste of the Acton family, a specific style evoked not only by the choice and arrangement of objects, but also by their individual histories. This differs from a typical museum presentation in that the goal is not to reveal the artist’s original intent or restore the objects to how they would have looked when created, but rather to portray them in the same way as the Actons would have seen them. As Sir Harold was a self-proclaimed “custodian” of his parents’ collection, we are continuing to operate in the same spirit in our efforts to perpetuate the period of Arthur and Hortense Acton. The idea of focusing on a time period is in line with what has been a principle for the garden’s restoration where the 1930s have been a guiding timeframe. This translates into our conservation practice in several ways. In general, we want objects to be free of dust and grime, but surface cleaning treatments should take into consideration the visual context of each room. Silver objects on display should be polished and coated, as the Actons would have perceived tarnish as a sign of neglect. In general, any signs of neglect like mold, dangling fringes, broken objects, prominent stains or general visually disturbing damage would probably not have been acceptable to the Actons and may require treatment. With regards to loss compensation, in some cases damage which has occurred since the collecting period may be concealed by appropriate filling and retouching, imitating the surfaces that Arthur and Hortense would have seen, leaving the responsibility of distinguishing between new and old surfaces to the documentation process. In many cases, however, worn and battered surfaces were perfectly acceptable to the Actons and unnecessary aesthetic treatments should be avoided. In some cases, our obligation to transmit as much of the collection as possible to future generations may lead us to remove especially vulnerable and important objects from view and the possibility of displaying facsimiles will be considered. In conclusion, although passing time creates inevitable change, we hope that Villa La Pietra remains a place where practice and theory combine to the benefit of spirit of the place.